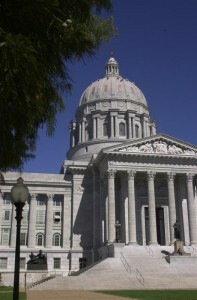 A measure to speed the delivery of new alcoholic beverages to retail shelves is being examined by Missouri lawmakers. The agency which handles label inspection of such products, the Division of Alcohol & Tobacco Control (ATC), has been slower to approve distribution than in many other states. Heath Clarkston with Southern Glazers distributors says a lack of funding, and staffing, at the division has led to delays in the process. Kathi Harness with the Missouri Beer Wholesalers Association says last year the agency was inundated with applications from 40,000 labels. The proposal eliminates the requirement for state inspection of alcoholic beverage labels as long as the product receives the approval of the Federal Alcohol and Tobacco Tax and Trade Bureau, which verifies the alcohol content. The state label itself would not be done away with. It would be needed for alcoholic beverages only being distributed within state borders. Clarkston, with Southern Glazers, speculated that it might also be needed for taxation purposes. The Proposal is sponsored by House Republican Justin Hill of O’Fallon. While presenting the measure before the chamber’s Crime Prevention and Public Safety Committee, he noted the approval process for labels in Missouri takes eight weeks, compared to around two weeks in most other states. Under the proposal, once there’s federal approval of labels, the beverage can be distributed across the state unless the ATC responds with a problem. No lawmaker or lobbyist speaking at the hearing, or the chief enforcement officer for the ATC, could remember an occasion when the state had not approved an alcoholic beverage label after it had received federal acceptance. No one testified against the proposal. Joining with Southern Glazers and the Missouri Beer Wholesalers Association in voicing support for the measure were representatives from Anheuser-Busch and Miller Coors. The Anheuser-Busch representative said the company preferred an original version of the bill, which did away with the state label, but would also back the measure as is. The committee do not vote on the measure at its Tuesday hearing.